A health board has defended its rates of prescriptions for ADHD and dementia medicines after they were shown to be higher than the national average. NHS Borders said its specialist services were picking up conditions and offering treatment at an early stage. Concerns have been highlighted in the past about children in the region being "parked" on medication. However, the health board said drug therapy was just one part of the "treatment package" being offered. It said social, psychological, behavioural and educational interventions or therapy were also used. The prescription rates for mental health conditions by NHS Borders were contained in a report published by ISD Scotland for World Mental Health Day which showed an increase nationwide. The region's figures for doses per 1,000 population were higher than the national average for both Attention Deficit Hyperactivity Disorder (ADHD) and dementia. 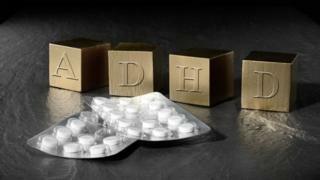 The health board said national reviews of ADHD treatment had identified it as providing one of the best services in the country. Dr Ashley Cameron, NHS Borders' consultant child and adolescent psychiatrist, said: "The drug therapy is very effective and has a large evidence base to support its use. "However, the children and young people referred to us receive a range of treatments and support for them and their families as well as any drug treatments." She said drug therapies were not seen as a "solution in themselves" but rather an "important tool" in helping children. "Any child on medication is kept under regular review and medication will only continue if positive results are shown," she said. NHS Borders said dementia services also did their best to diagnose and treat people at an early stage. Medical director Dr Cliff Sharp urged anyone with concerns about the condition to seek help. "A diagnosis is helpful in a variety of ways," he said. "It enables us to monitor the situation, offer help and information in a timely fashion, plan for the future and most importantly provide access to practical benefits - from medication to slow the disease's progression to exemption from council tax." NHS Borders added that it also valued the benefits of "lifestyle changes and other therapies" instead of medications "when appropriate". It highlighted prescription levels for sleeping tablets and tranquillisers - which were below the 2016/17 national average - as an example of that.